Hotel Amarji Palace is a fine choice for guests visiting Indore. The rooms are spacious and bright with natural light streaming in from the windows. 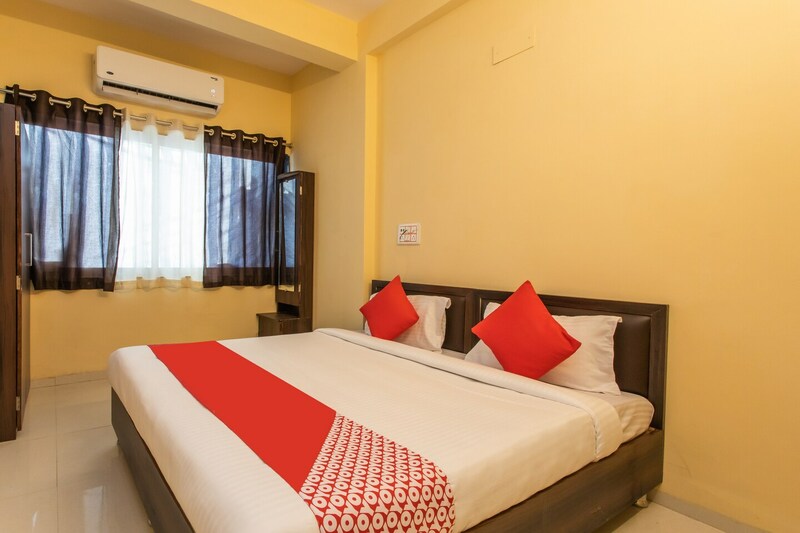 Comfortable wooden furniture and basic amenities in the room ensure a comfortable and pleasant stay of the residents. The bright cushions look impressive and make the room lively. Bathrooms are also well-equipped with basic amenities. Power backup and CCTV cameras ensure security of the guests. Laundry service is also offered by the hotel for the convenience of the guests. Guests are entitled to use free Wi-Fi service to stay connected with social media or to catch up with pending work.